Distribution and habitat: Blechnum gibbum is a species of the genus Blechnum along with another 200 species, belonging to the Blechnaceae family. 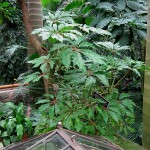 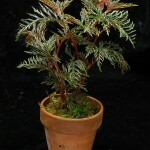 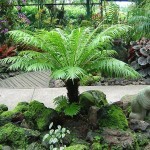 It is a small tree fern, 90-120cm (36-48 inch) high, from tropical and subtropical climates. 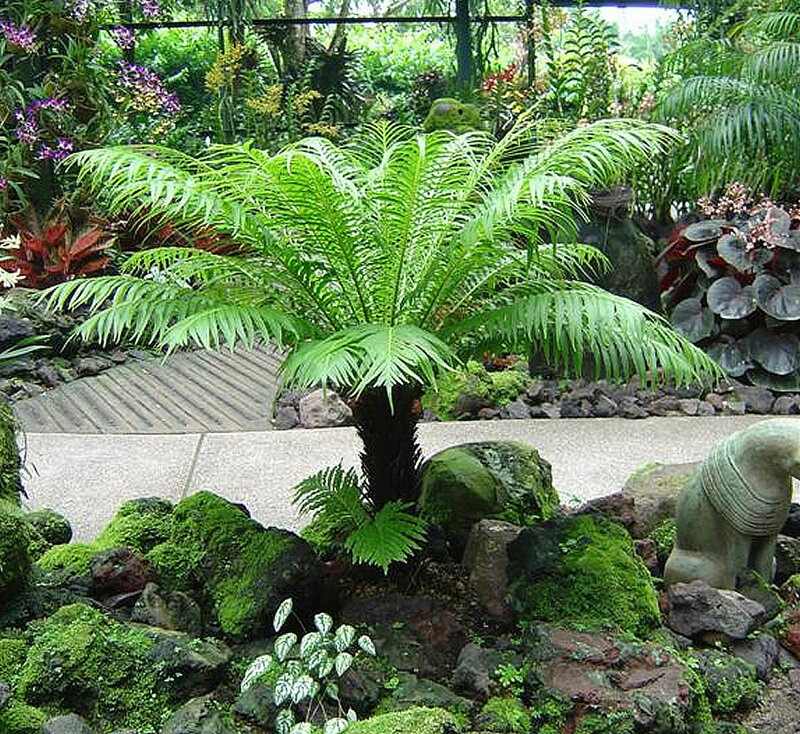 Native to Fiji, New Caledonia and the Pacific Islands, Blechnum gibbum is growing as an under story plant in forested areas where thrive in filtered light and high humidity in moist fertile soils. 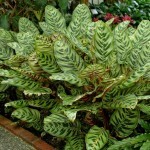 Description: Blechnum gibbum is a neat, symmetrical rosette of fronds up to 90cm (36 inch) long and 30cm (12 inch) wide, which eventually crowns a scaly, black trunk up to 90cm (36 inch) tall. 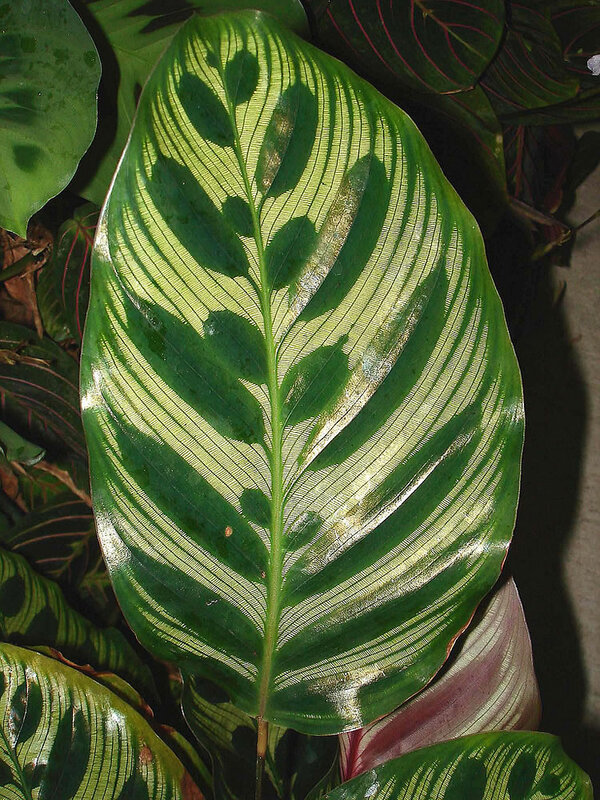 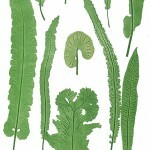 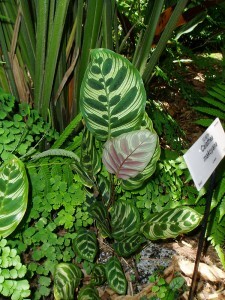 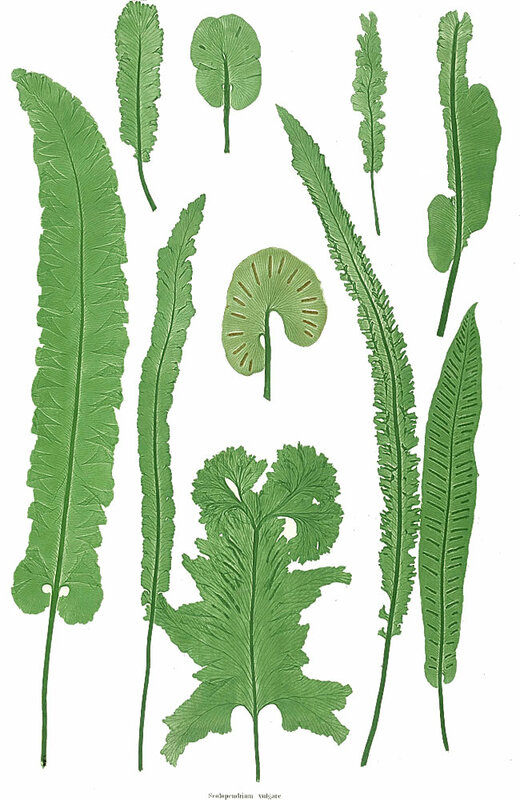 The many leaflets of each frond are shiny green and slightly drooping. 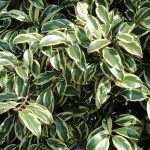 There are several forms distinguished by having either narrower, wider or more pointed leaflets. 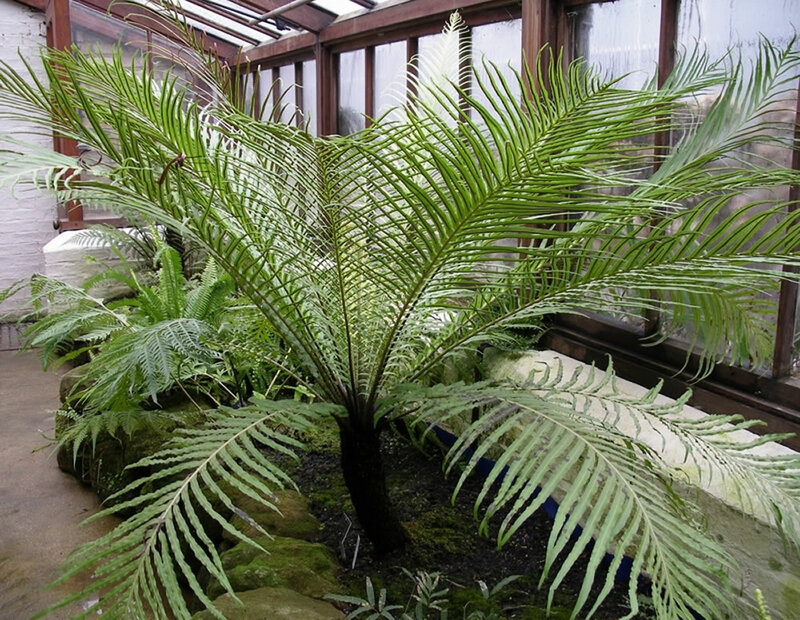 Unlike other tree ferns this dwarf variety is reasonably fast growing and the fronds will spread to over 1m (3 feet) in good conditions. 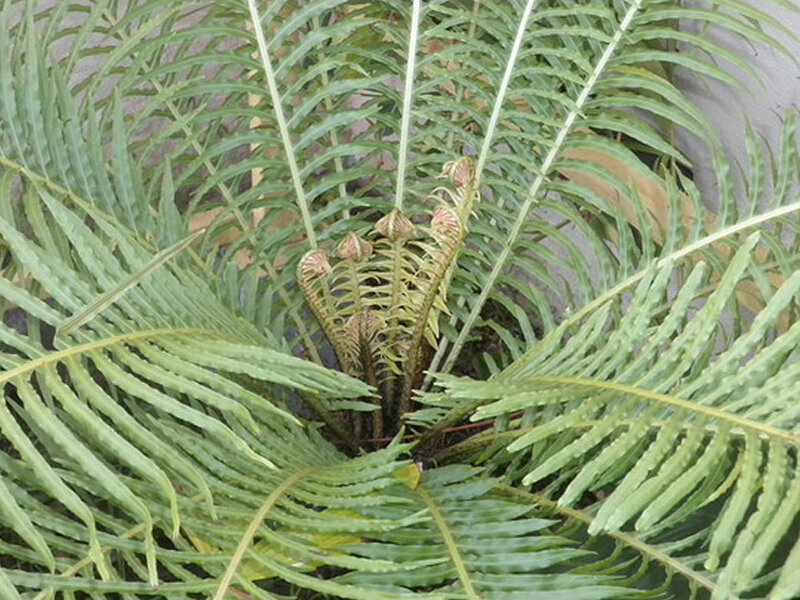 Blechnum gibbum have both sterile and spore bearing fronds. 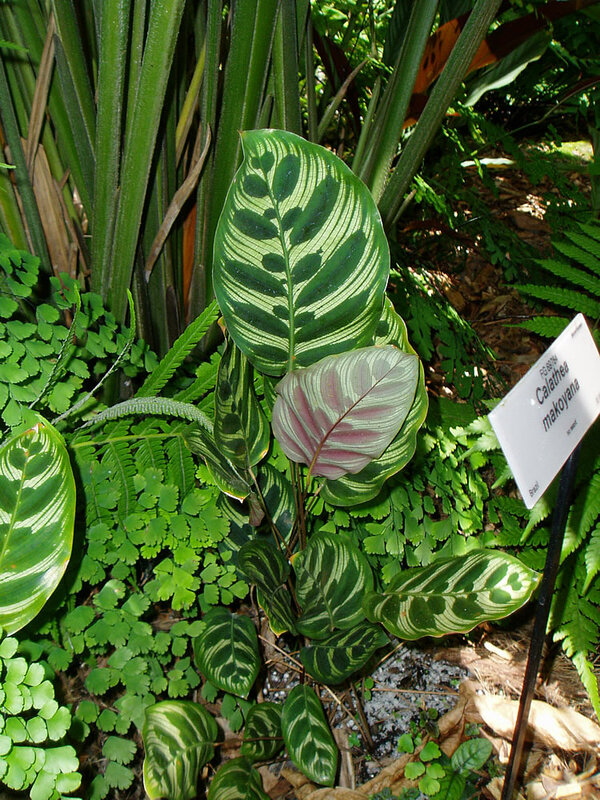 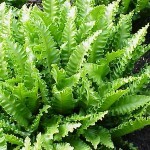 Houseplant care: Blechnum gibbum is widely circulated as a houseplant. 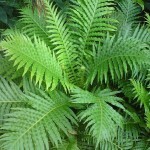 Light: Bright light, but without any direct strong direct sunlight is most suitable for Blechnum gibbum ferns. 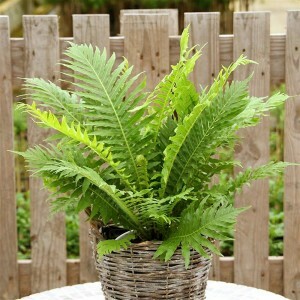 Temperature: These Blechnum gibbum ferns grow vigorously in warm – not hot- rooms. 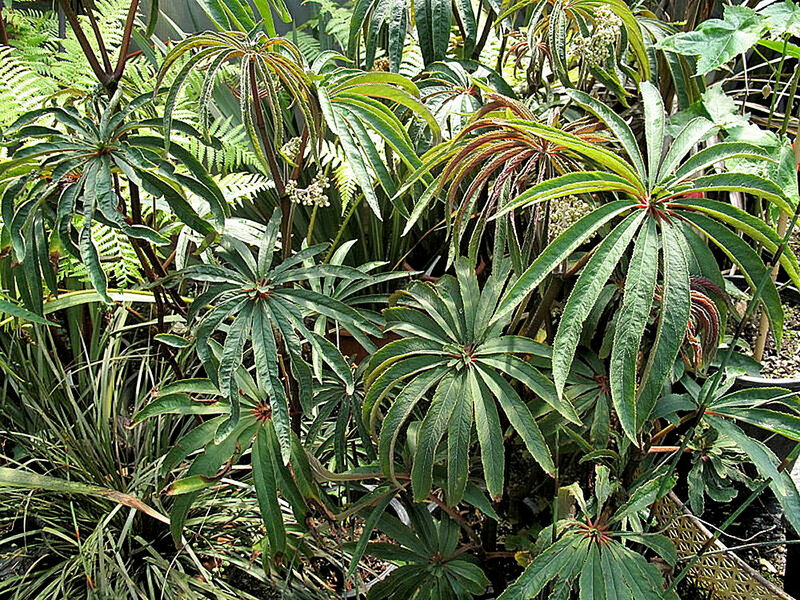 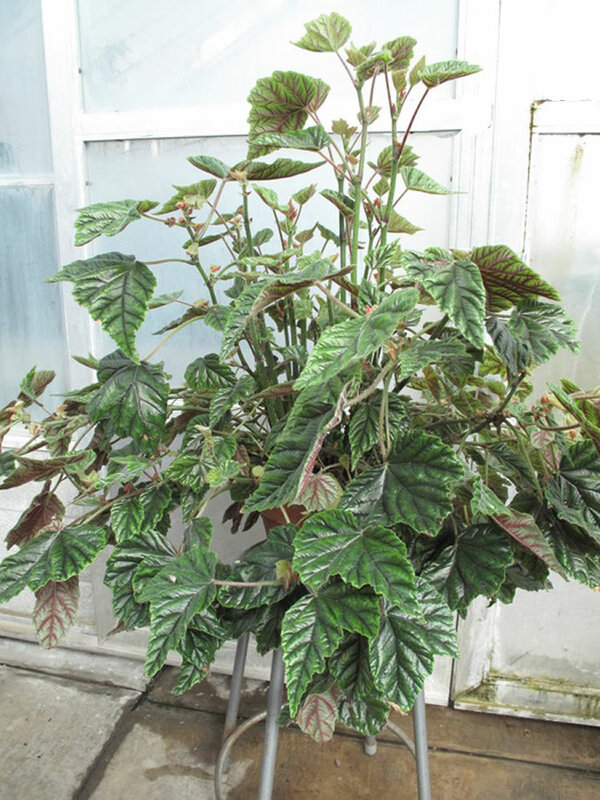 Tough tolerant of dry air, the plants should be given as much humidity as possible during the active growth period from mid-spring to late fall. 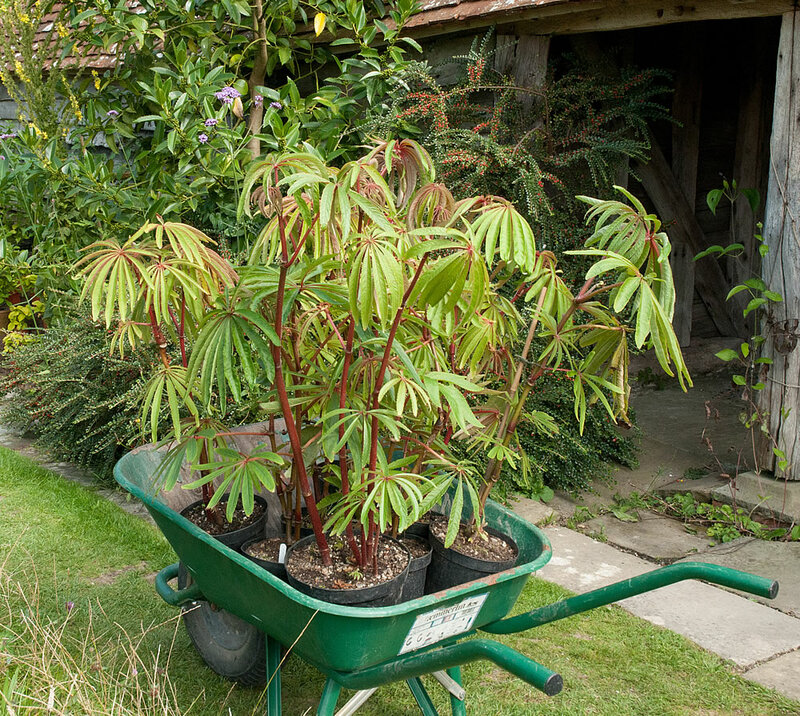 Stand pots on trays of moist pebbles throughout the warmer months. 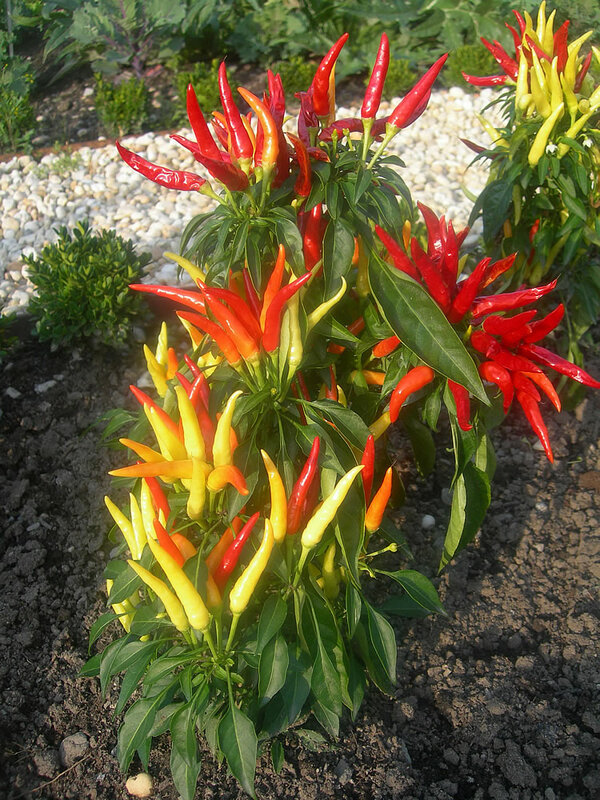 With the resultant adequate humidity, they will tolerate temperatures slightly above 24°C (73°F). 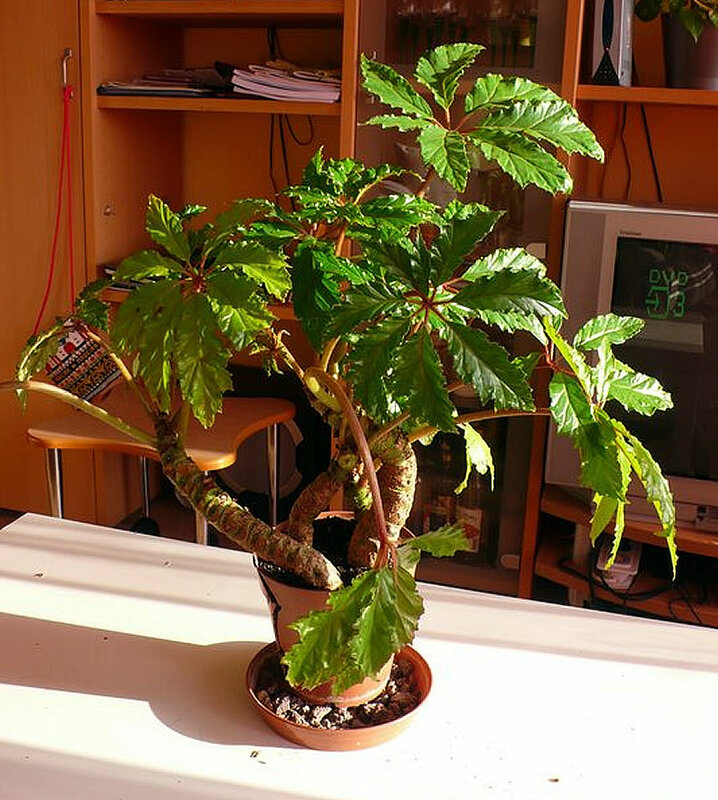 Lower temperatures are better in winter, though. 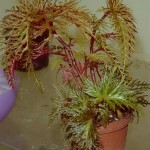 Around 15°C (59°F) is ideal, but these ferns can even stand 10°C (50°F) if kept fairly dry. 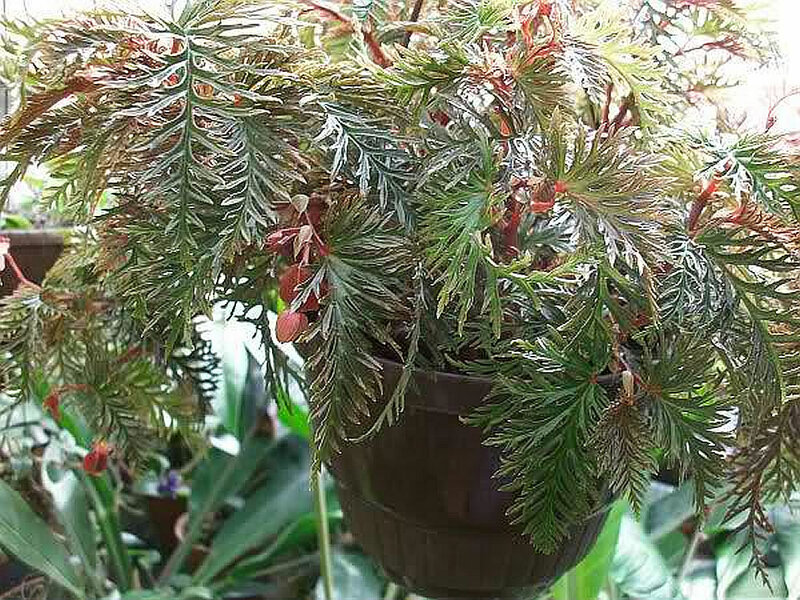 Watering: Water actively growing ferns plentifully, as often as necessary to keep the mixture thoroughly moist, but never allow the pot to stand in water. 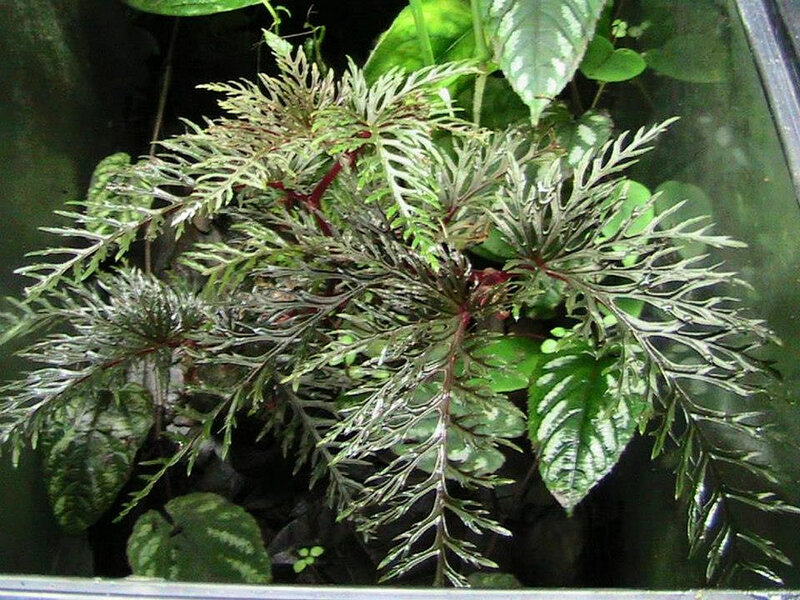 If the temperature falls below 12°C (54°F) water moderately, allowing the top 1cm of the mixture to dry out between waterings. 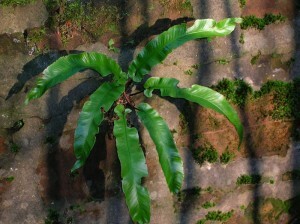 This fern prefers rainwater because it has an intolerance of lime. 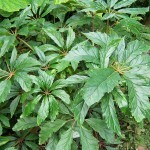 Feeding: One or two applications of half-strength liquid fertiliser during the active growth period will suffice. 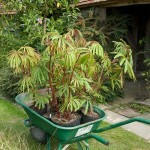 Potting and repotting: Use equal parts of soil based potting mixture and leaf mould. 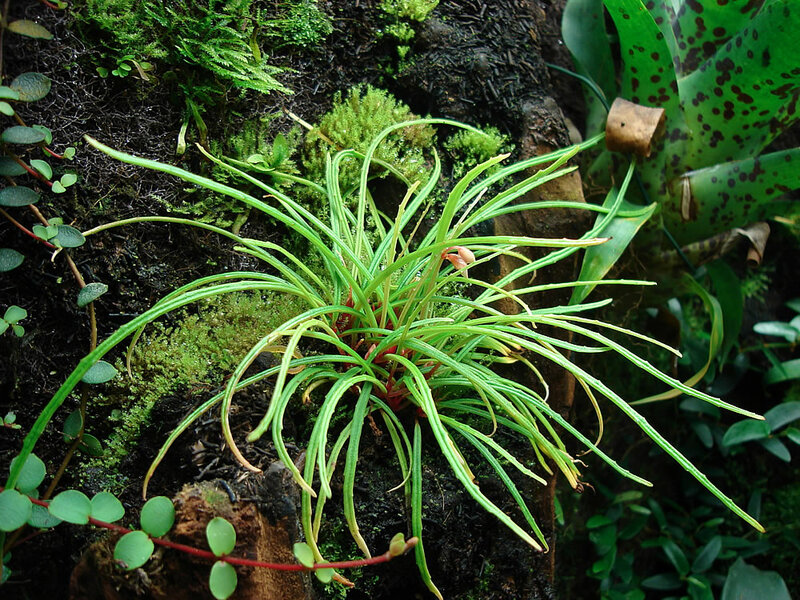 Move plants into pots one size larger only when roots begin to appear on the surface of the potting mixture – about once every two years. 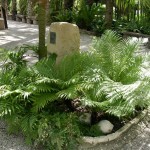 Maximum pot size recommended for these small tree ferns is around 40cm (16 inch). 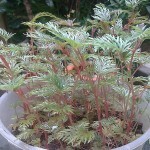 After that top dress this fern with fresh potting mixture. 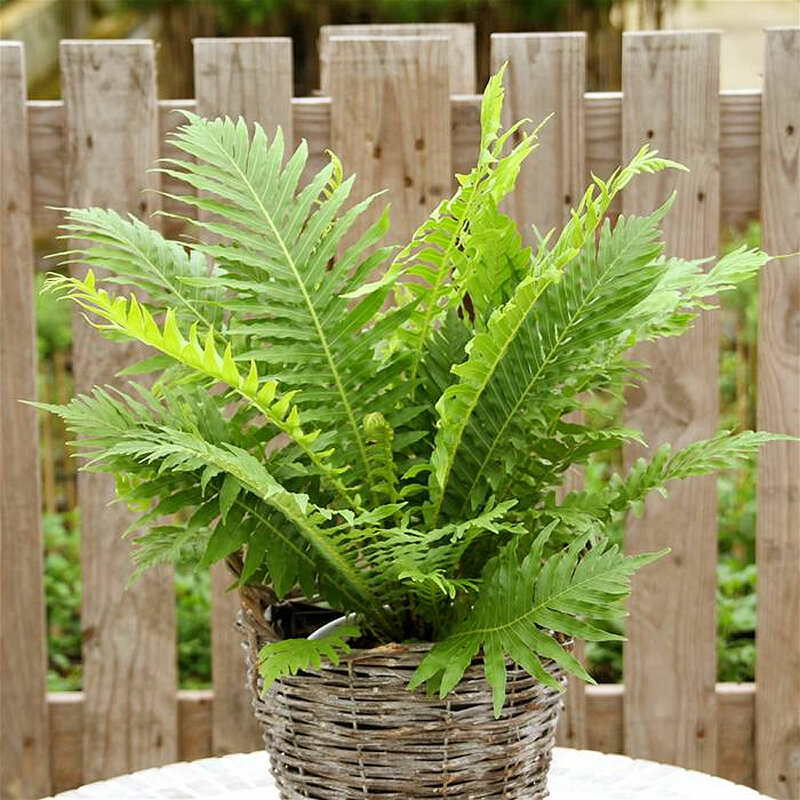 Gardening: Blechnum gibbum ferns grow in a wide range of climates from temperate to sub-tropical locations, however this fern needs reasonable ventilation. 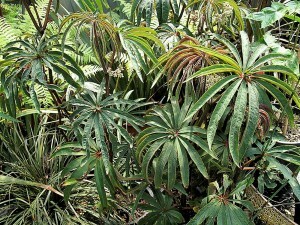 It is not frost tolerate, although it has been reported to survive temperatures down to -4°C (25°F) and can re-grow if frozen. 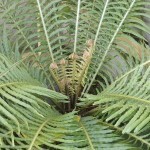 All fronds eventually blackened but new growth will emerge early in spring. 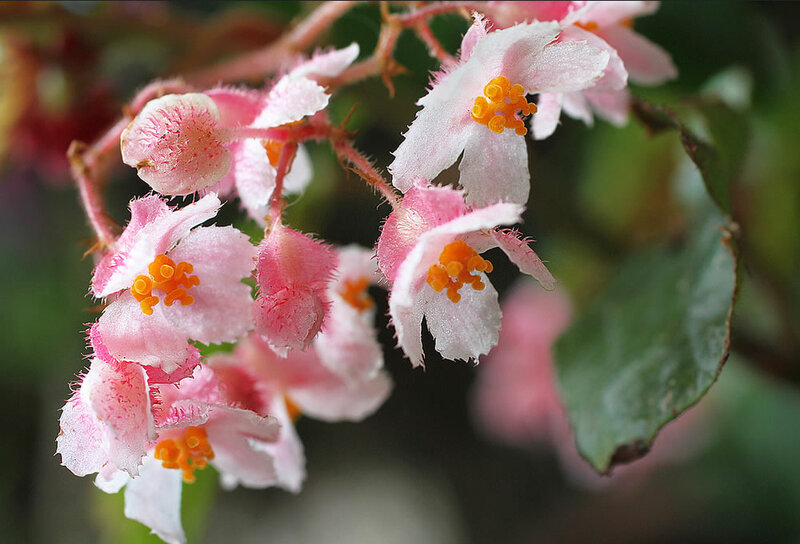 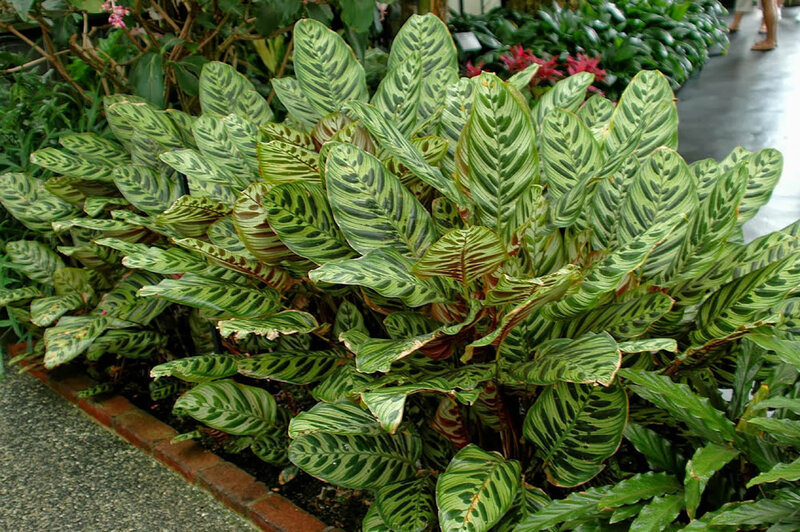 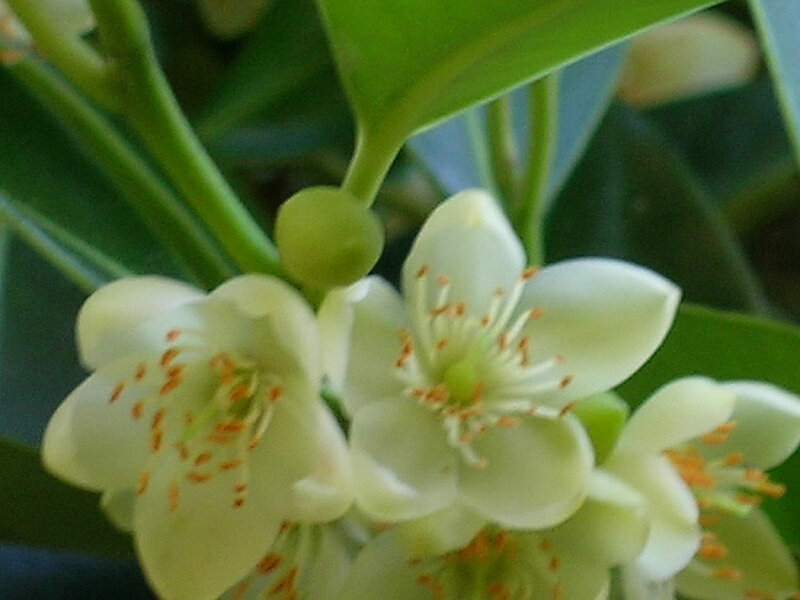 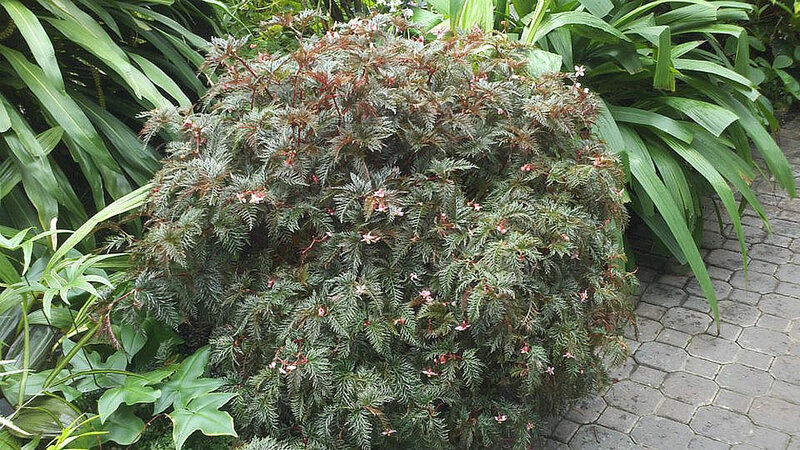 Its popularity can be attributed to its fast growth, perfect symmetry, attractive broad fronds and its ability to beautify the difficult dark parts of the garden. 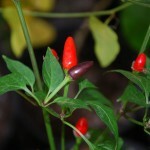 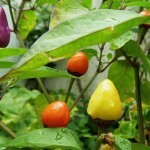 It is generally quite easy to grow. 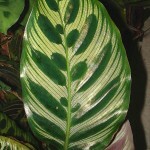 Remove old, browning fronds by trimming off at their base. 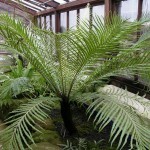 In time, this reveals a narrow trunk, reminiscent of this feature of larger tree ferns. 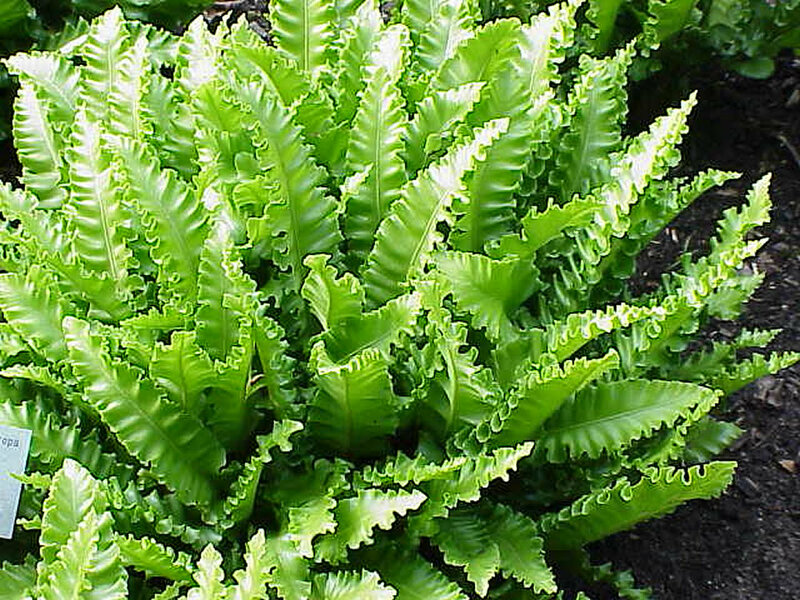 Position: Plant Blechnum gibbum fern in shady area of the garden where nothing seems to grow very well. This fern is probably at its best when multi-planted adding a cooling, yet tropical, feel to the garden. 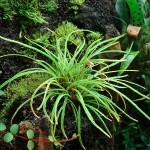 It will thrive placed by a stream edge which will provide it with added air humidity. 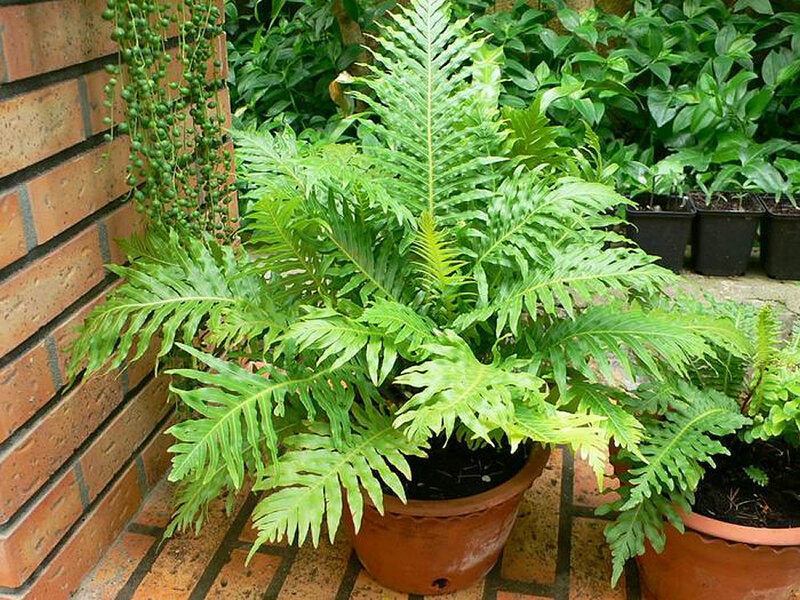 Blechnum gibbum can also be used to add an exotic effect in a patio tub or as a house plant in a bright location out of direct sun. 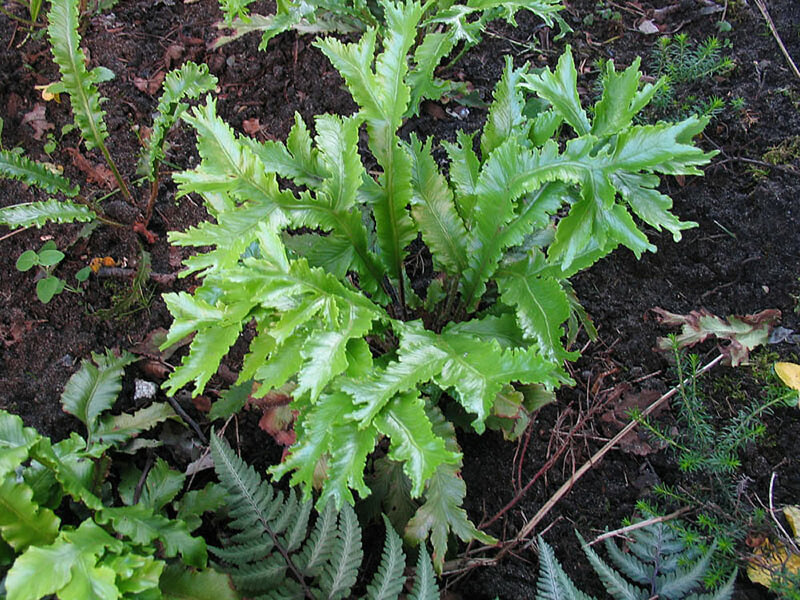 Soil: Blechnum gibbum will perform best in moist, free-draining, compost-enriched and slightly acidic soil. 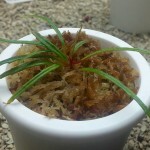 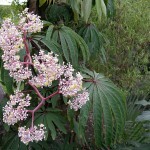 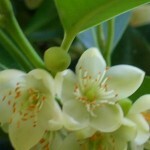 It has a reputation for being sensitive to transplanting. 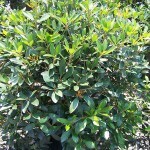 Mulching is recommended to keep the roots cool and moist. 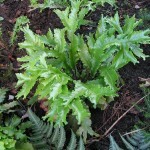 Irrigation: Keep the soil moist throughout the year for Blechnum gibbum. 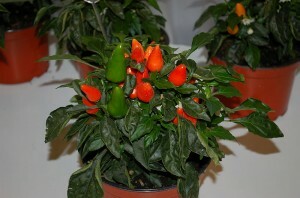 This may mean a weekly watering in winter and increase the frequency in warmer months. 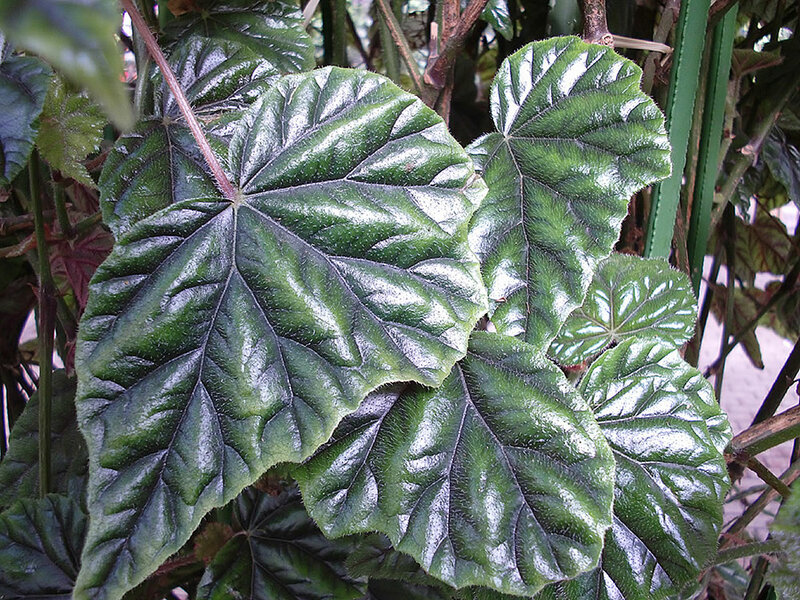 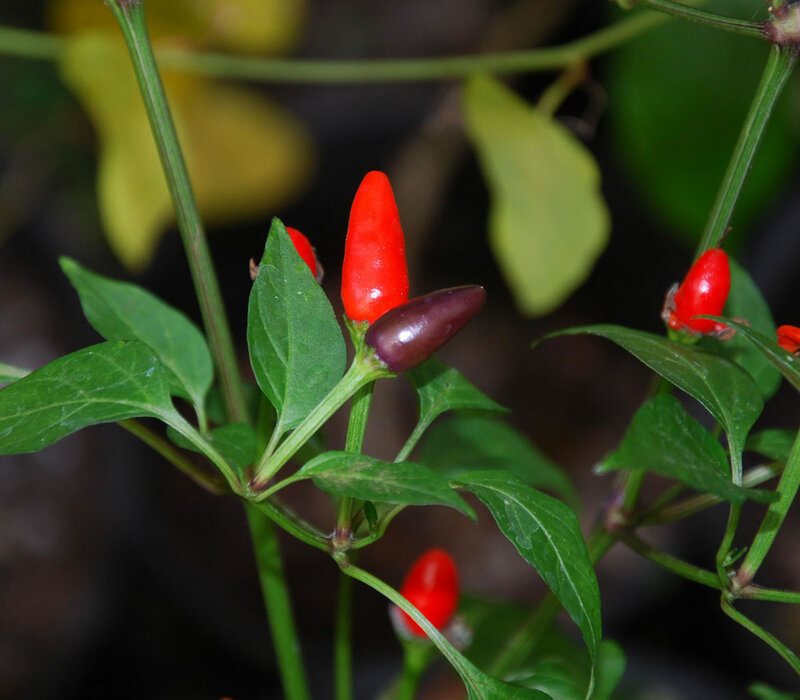 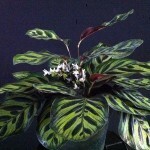 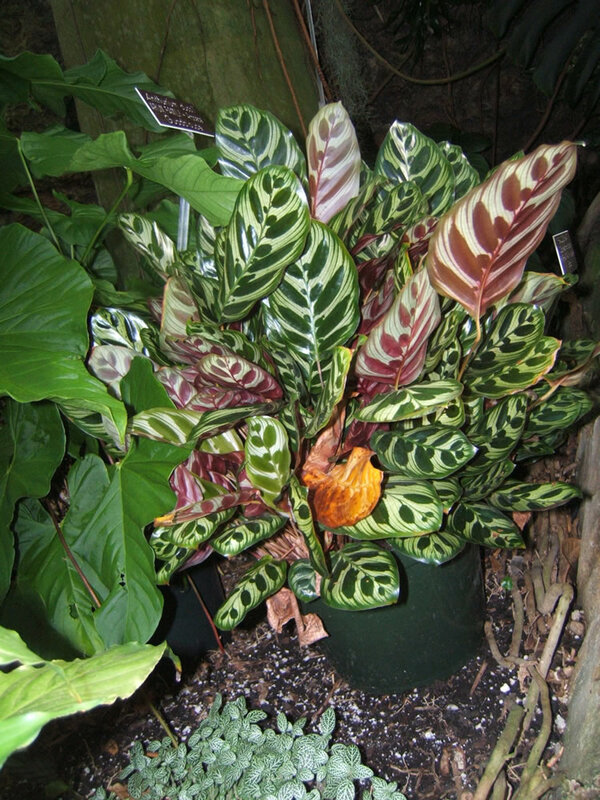 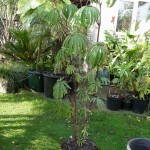 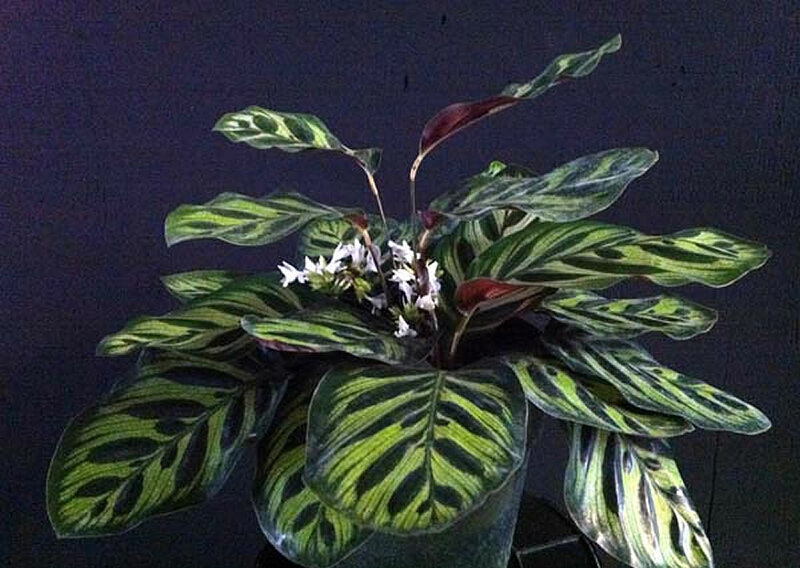 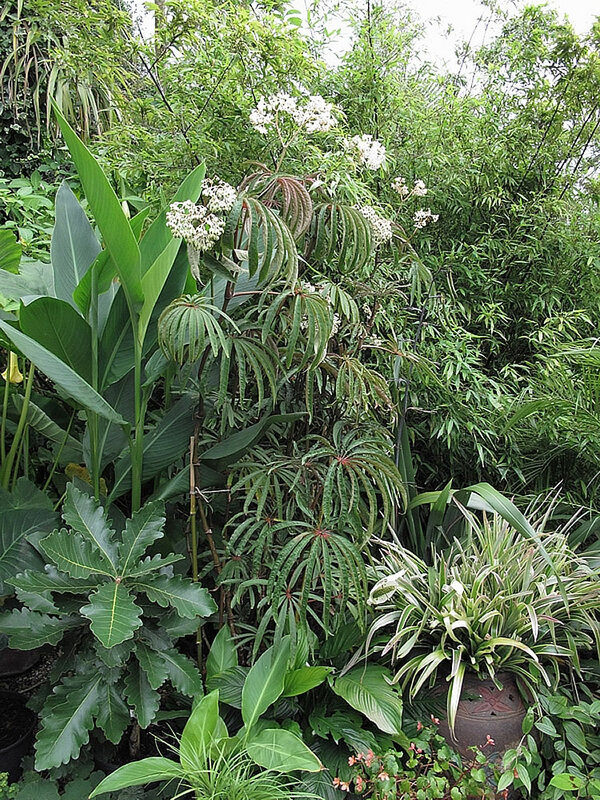 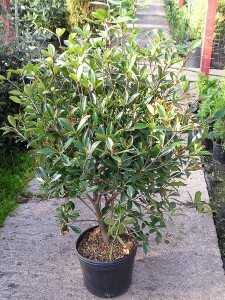 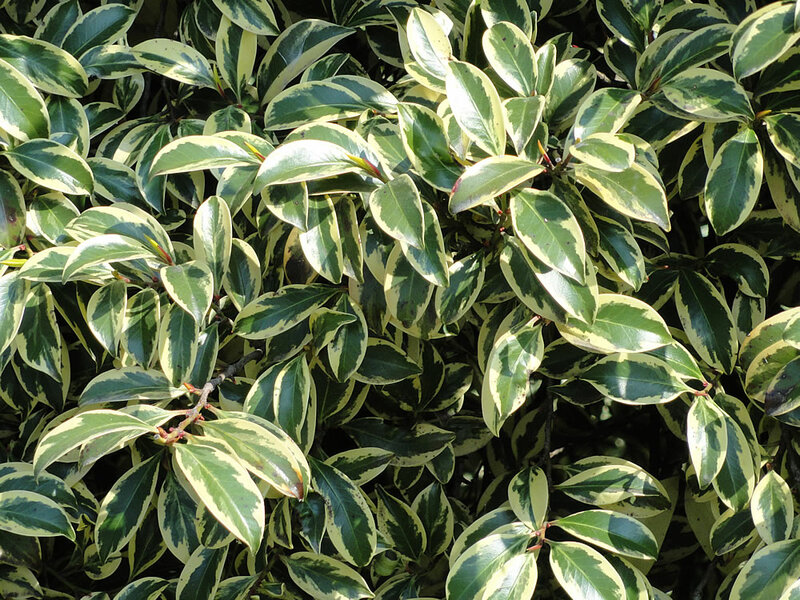 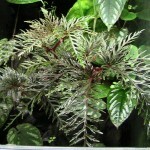 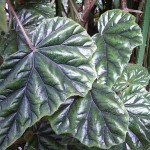 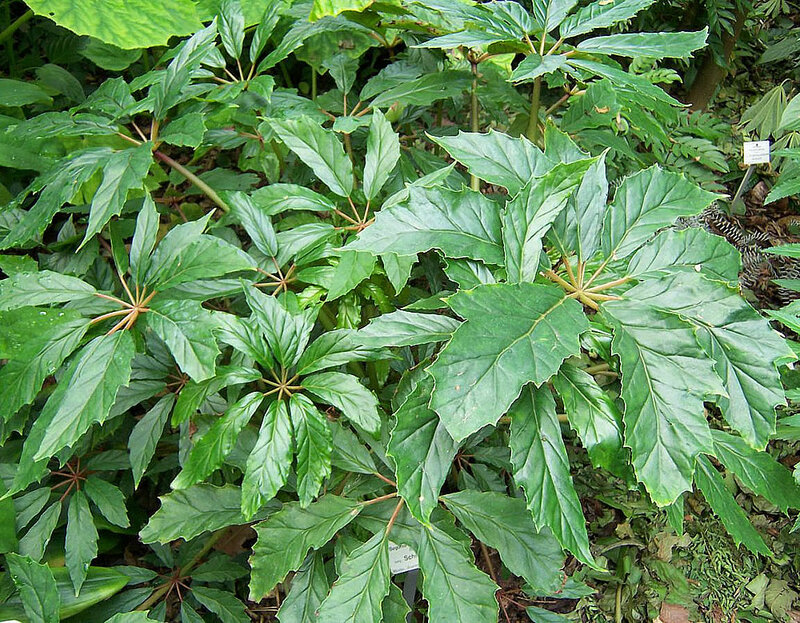 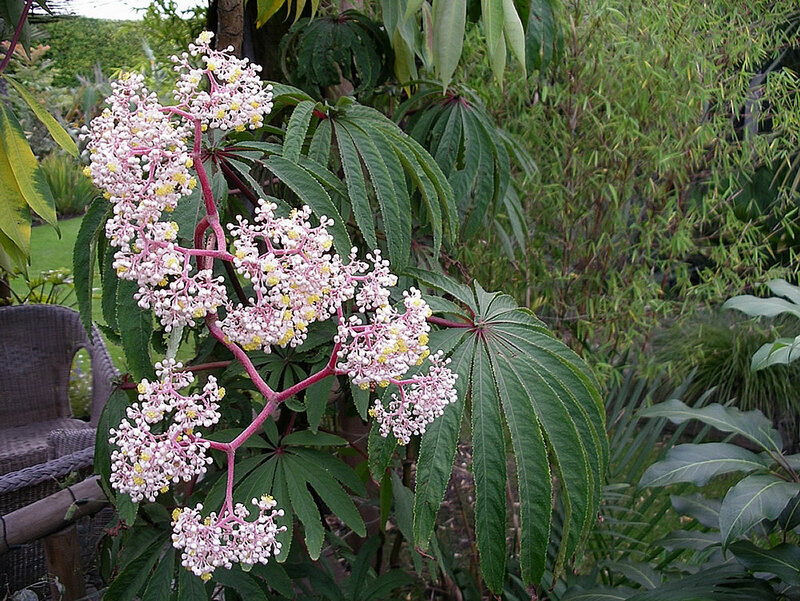 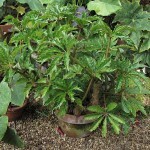 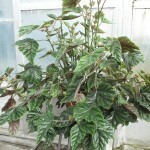 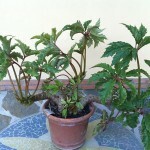 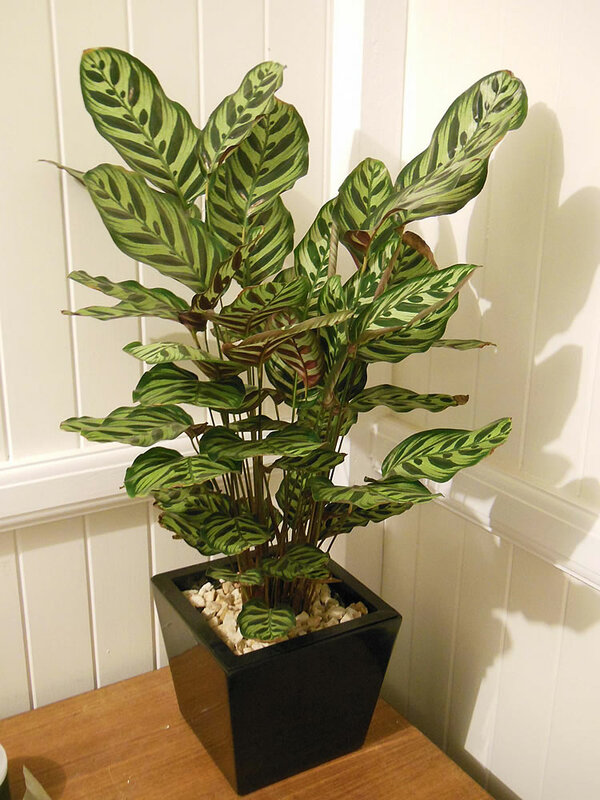 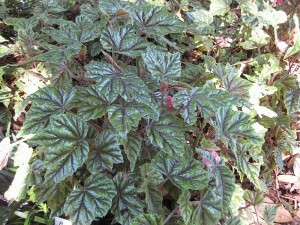 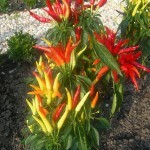 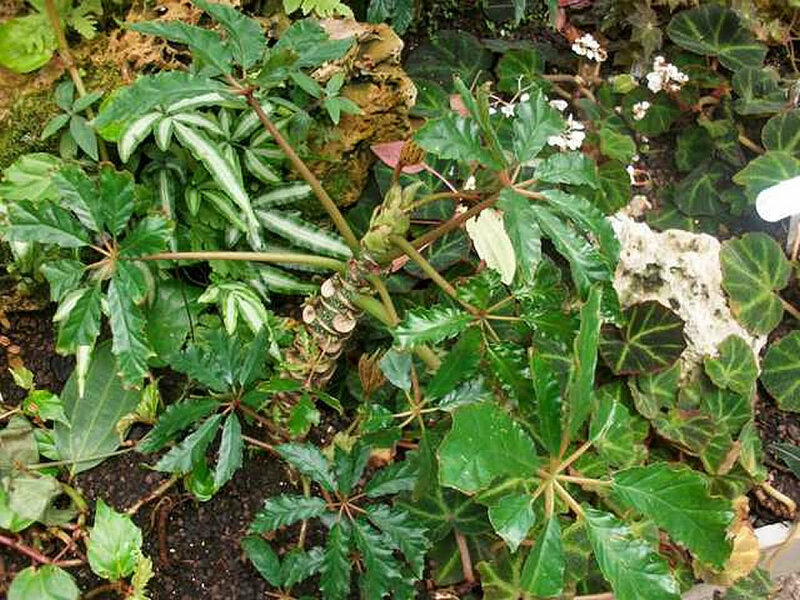 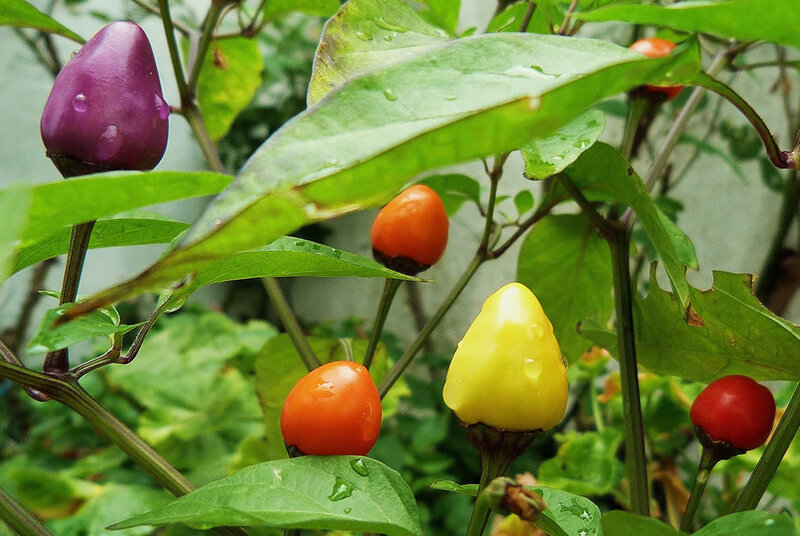 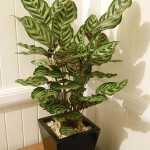 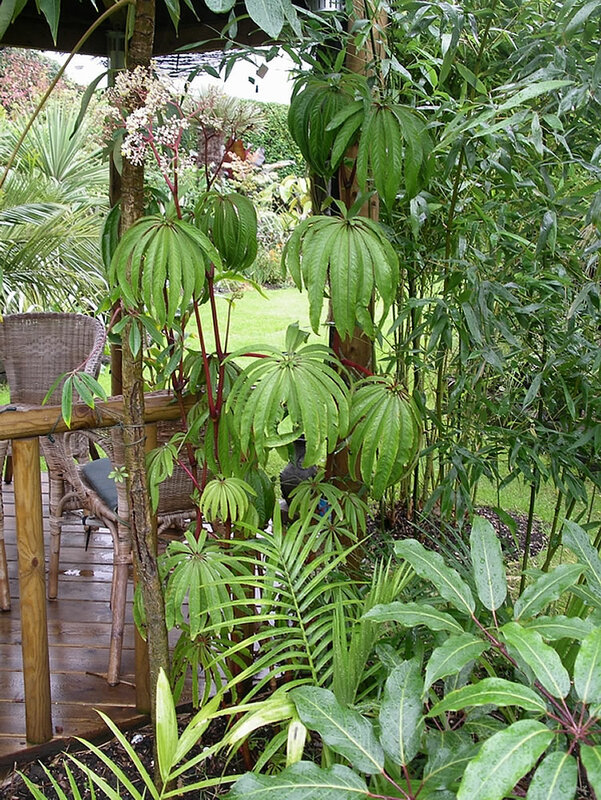 It is recommended to use drippers, rather than overhead watering, so the foliage avoids staying wet for long periods. 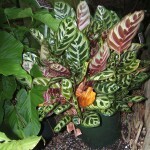 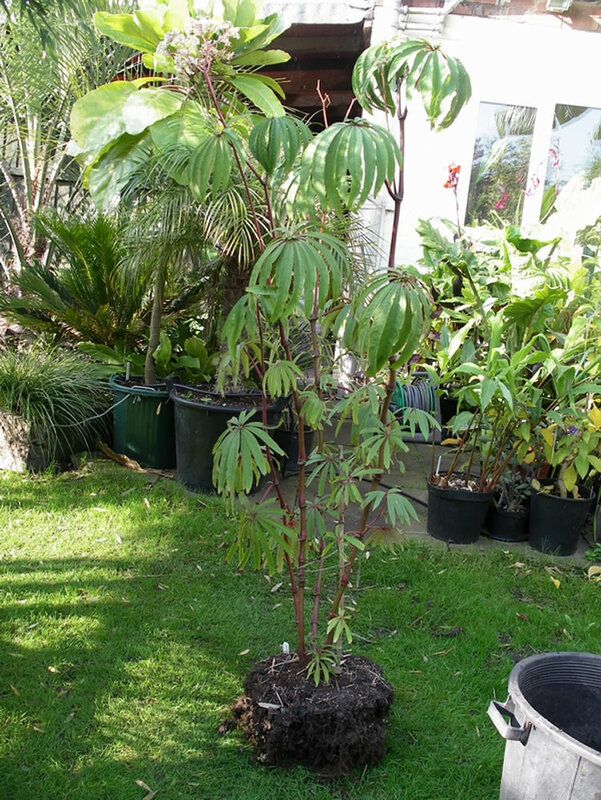 Containerised plants should generally be watered more frequently than in-ground plants. 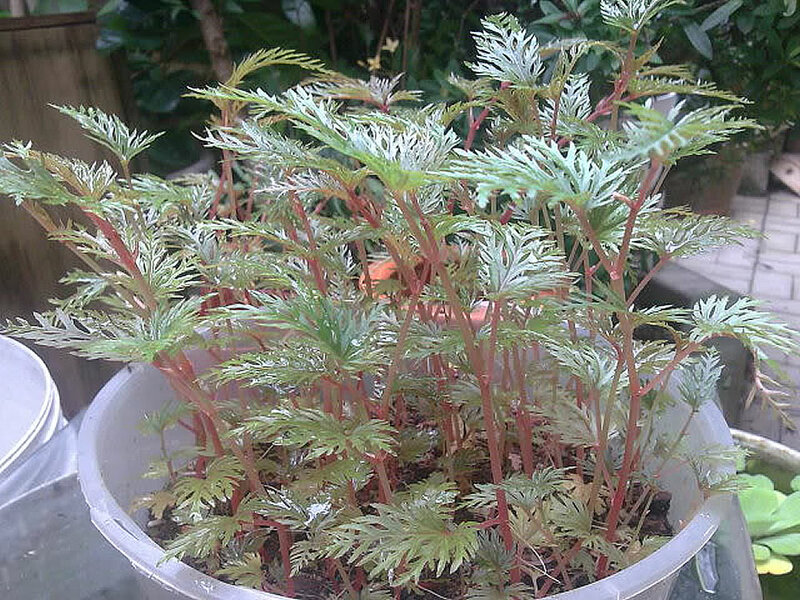 Water when the top layer of potting mix appears dry. 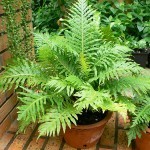 Try not to over-water Blechnum gibbum fern as this may cause root rot. 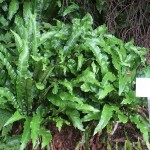 Fertiliser: Feed Blechnum gibbum ferns with a controlled release fertiliser in early spring. 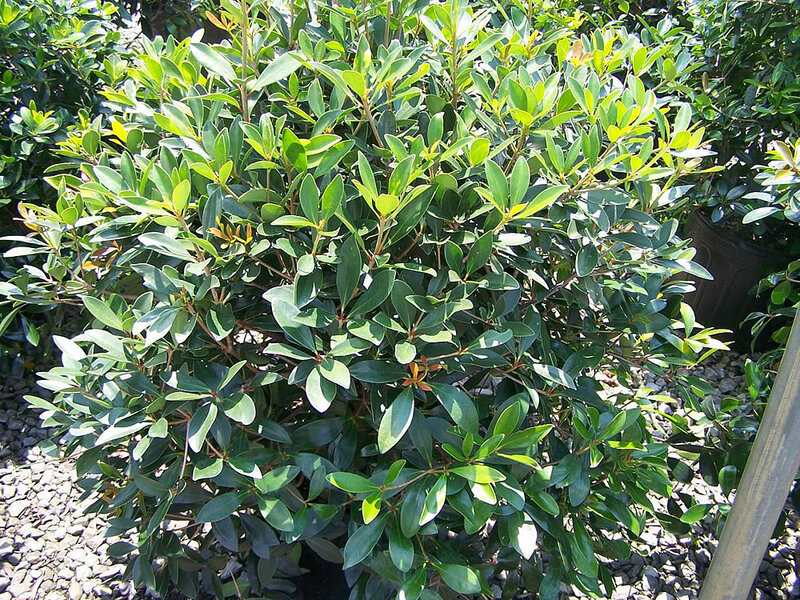 Alternatively, can be either replaced or supplemented this application by liquid feedings on a more regular basis during the warmer months. 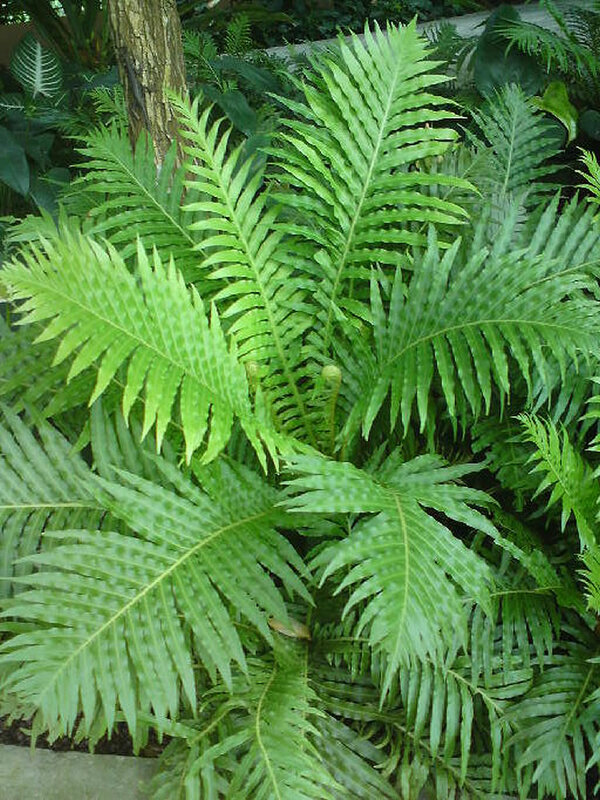 Propagation: Commercially, Blechnum gibbum are grown from spores which can take between one and three months to germinate. 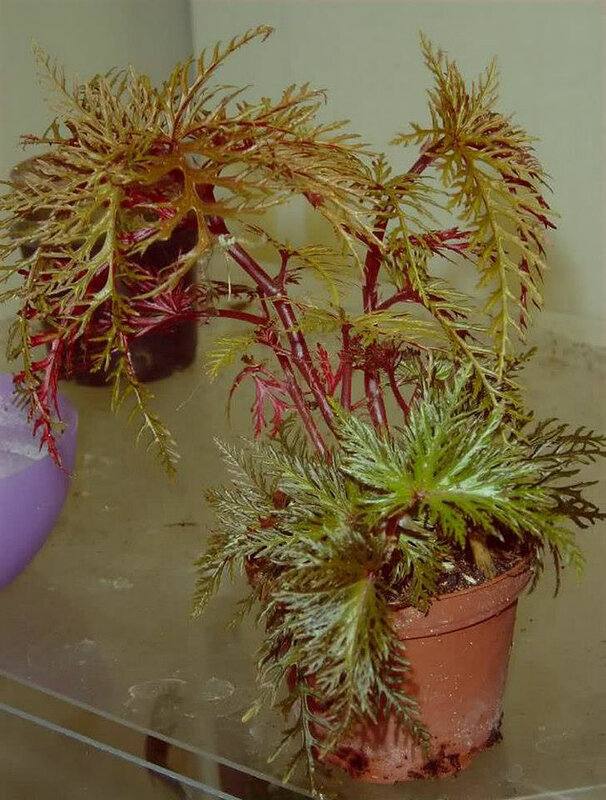 Occasionally, these ferns produce basal offsets which can be detached from the parents, potted up and treated as mature ferns. 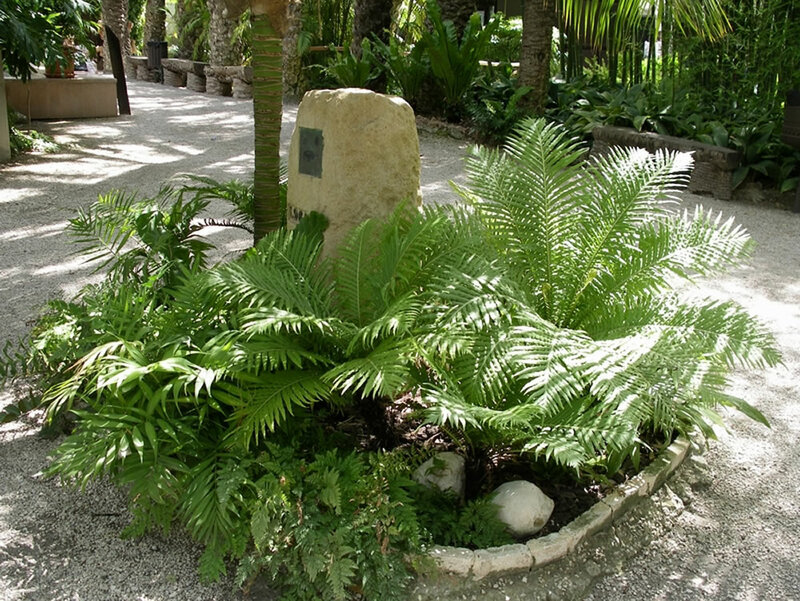 Problems: If overwatered fronds will quickly turn brown and the Blechnum gibbum fern is unlikely to recover without immediate action. 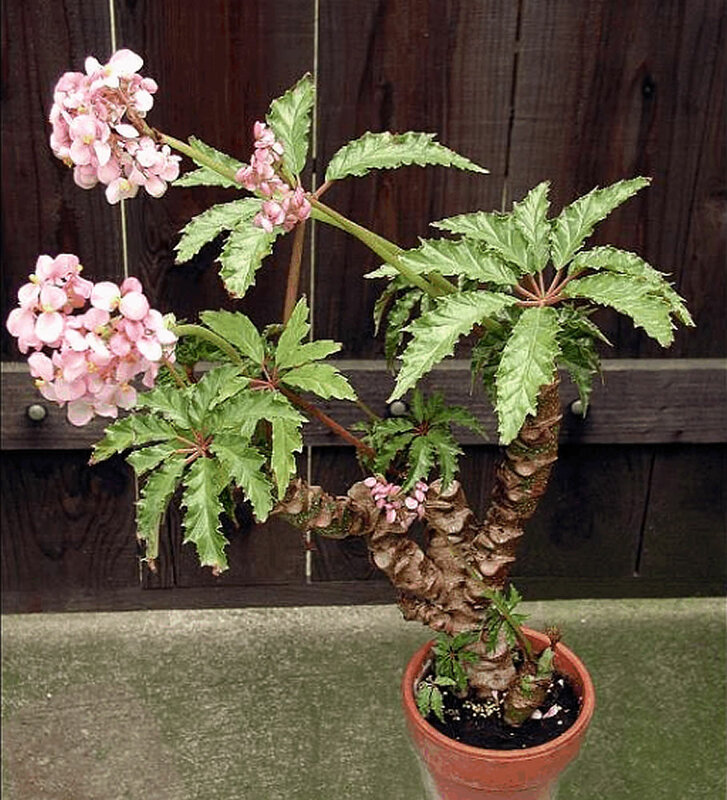 Bronze fronds are not a feature. 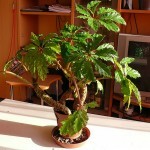 This can be caused by a lack of ventilation and over watering. 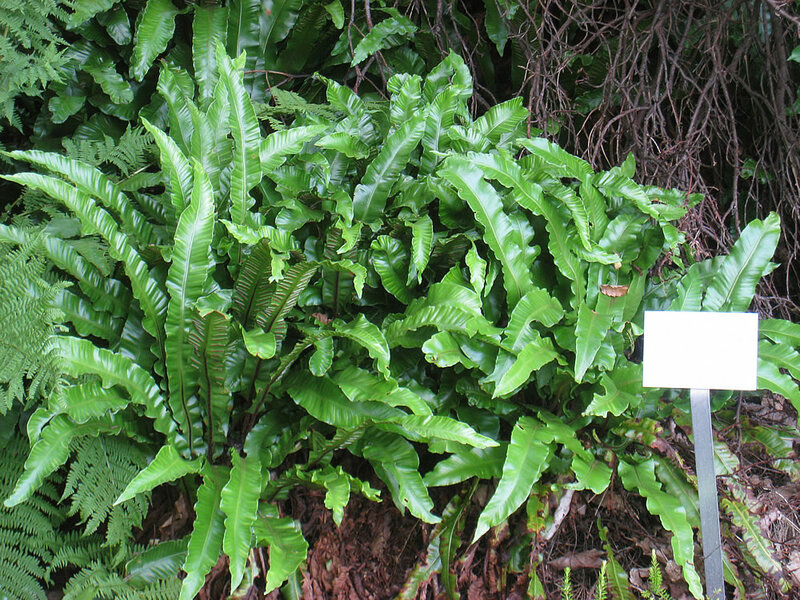 Blechnum gibbum is not overly prone to pest or disease attack however it is possible to see the effects of aphids, caterpillars, slugs, scale or mealybugs. 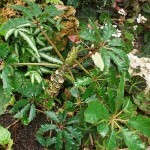 Treatment: Use appropriate insecticides and follow the instruction on the label. 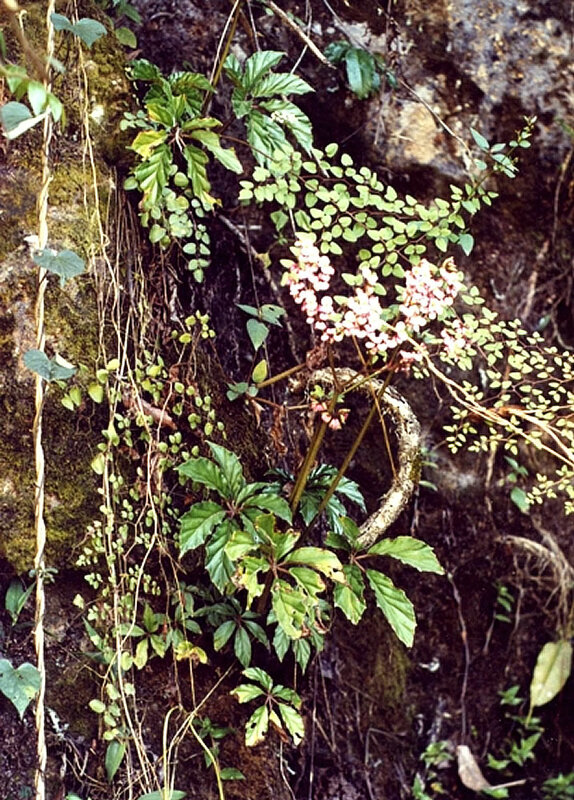 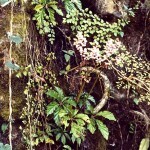 Note: The root systems of Blechnum gibbum are often used to produce a substrate for growing orchids. 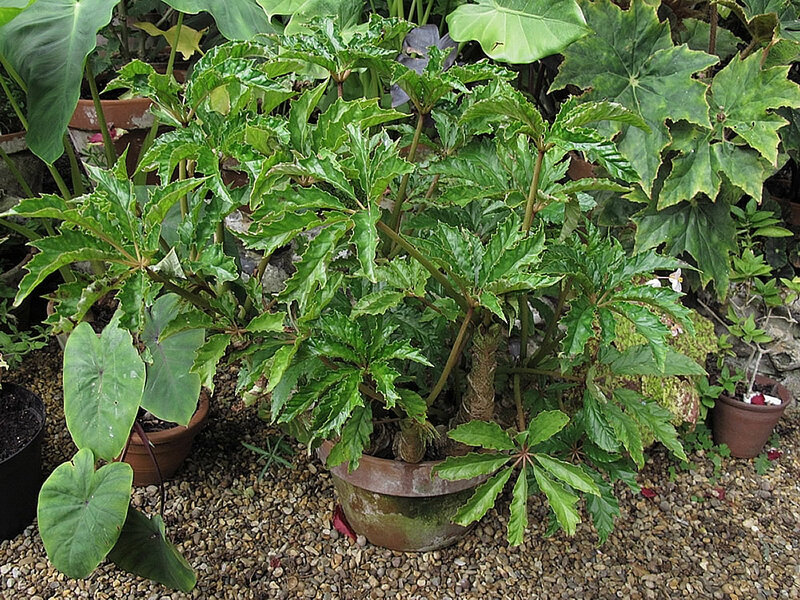 Uses and display: Plant enough of Blechnum gibbum close together and they will make an interesting under tree groundcover. 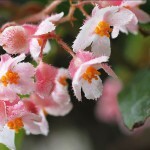 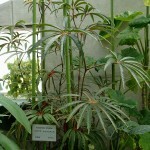 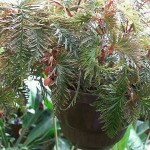 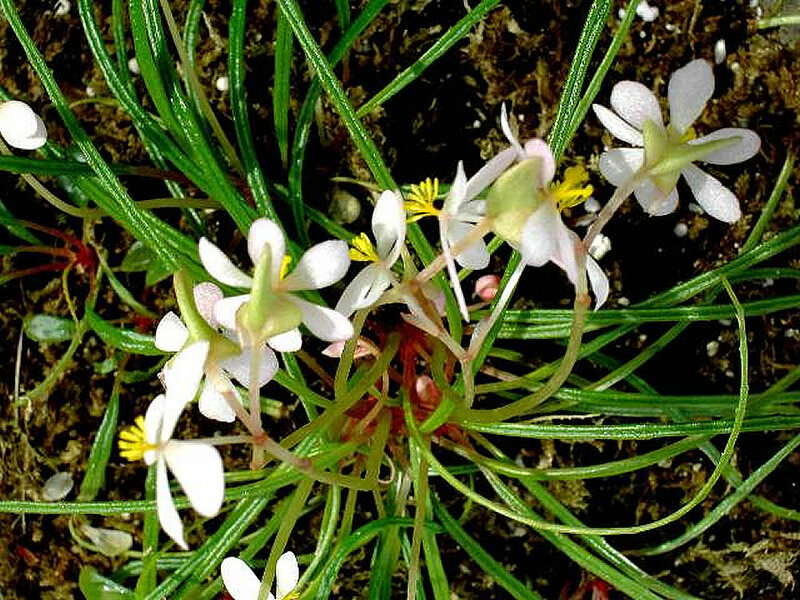 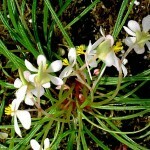 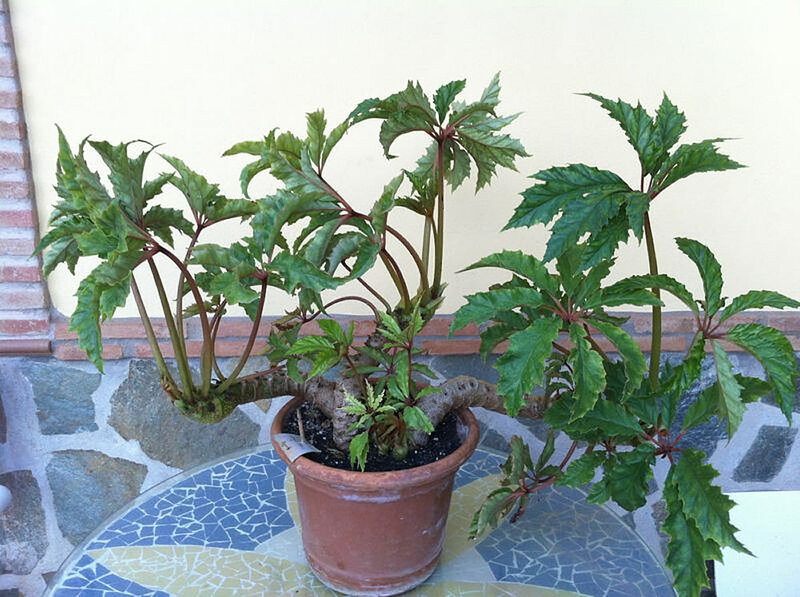 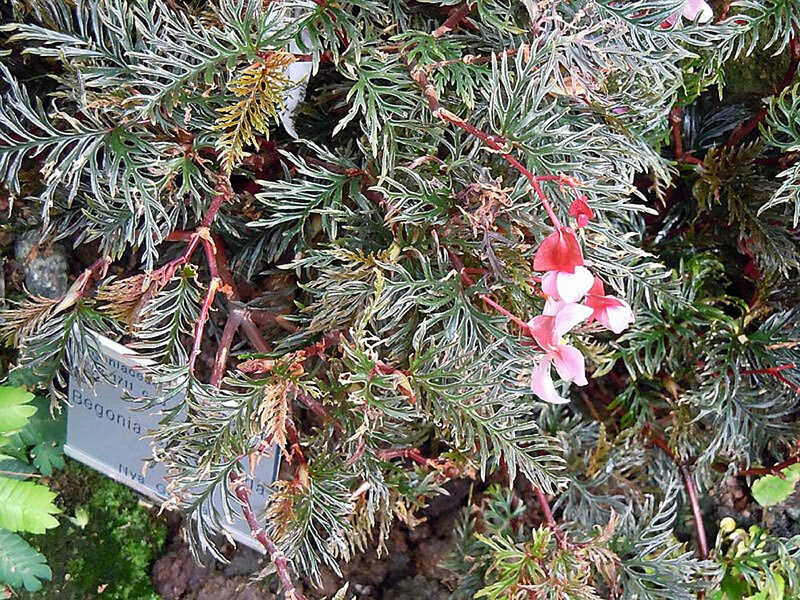 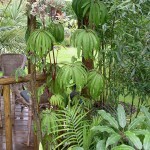 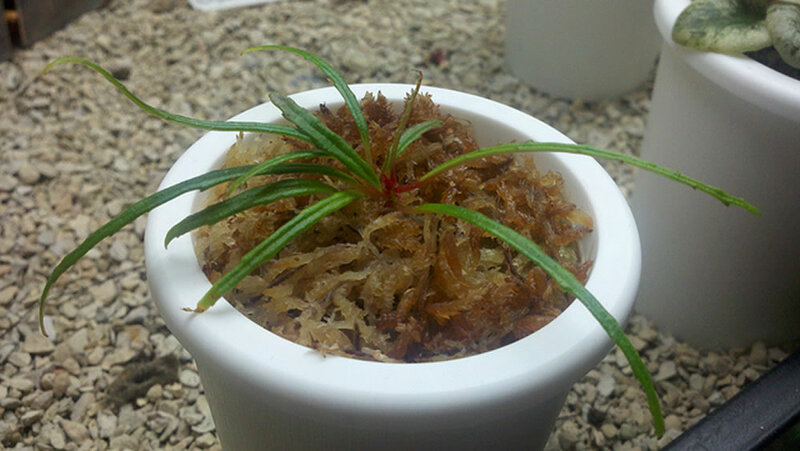 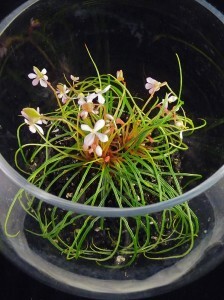 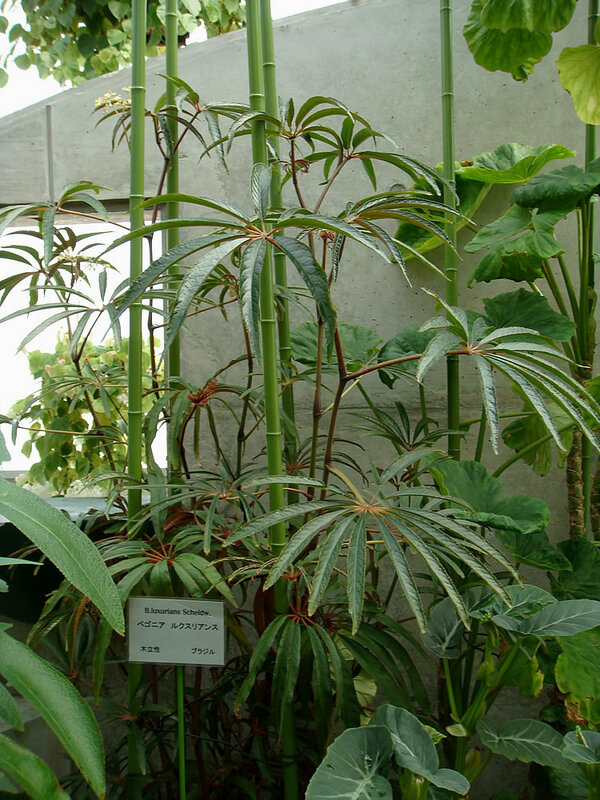 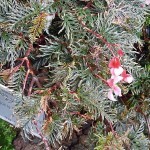 It can be grown in pots also and makes a wonderful focal plant. 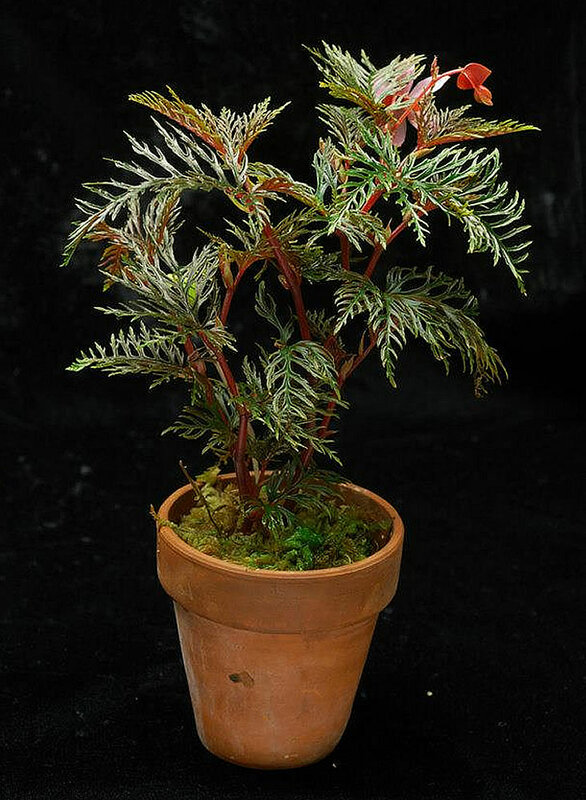 This fern looks great when used in large pots for display around patio or planted in shaded moist areas in the garden, included in a tropical planting or shown off to great advantage in a courtyard in a decorative pot. 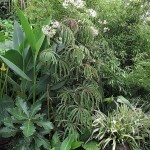 It has become popular choices for gardens to add a large, finely textured green presence in their landscape.